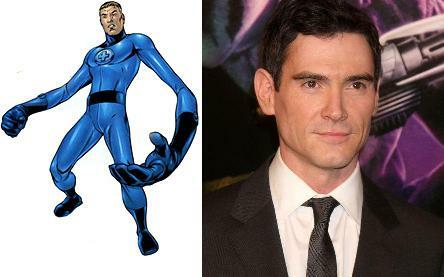 So Disney has decided to reboot the Fantastic Four Franchise, not a bad idea I guess, I liked the first two, but I can see where there is a lot (A LOT) of room for improvement, so I decided to reboot it myself with an older cast, The Fantastic Four have always seemed like they should be in there late 30’s to me any way except Johnny he should be in his late twenties, how else would they accomplish so much, so here ‘s my Fantastic Four Dream Cast. 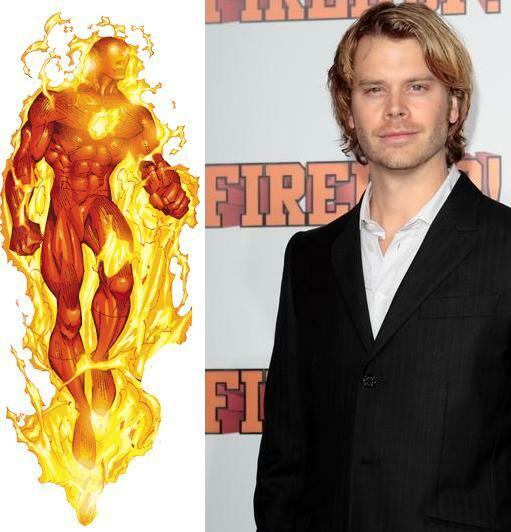 I needed a slightly geeky yet still handsome actor who would be good at acting like an absent minded scientist, Crudup is a good actor and has already had his first taste of comic book movies so he wins the part. Invisible woman is supposed to be this incredibly attractive woman, so much so that about every foe and sometimes friend of the Fantastic Four fall in love with her, so we needed a 30 something actress who is incredibly beautiful, I went with Theron because I know she can do the action and she is a looker. 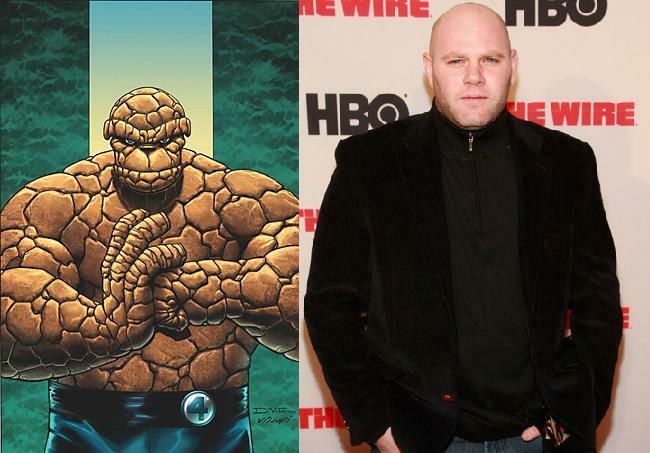 I thought Chiklis was a good cast, but he wasn’t good looking enough, so here’s the more muscly, better looking, version of Chiklis, Lomardozzi, watch him on The Wire, he’s a perfect Ben Grimm. 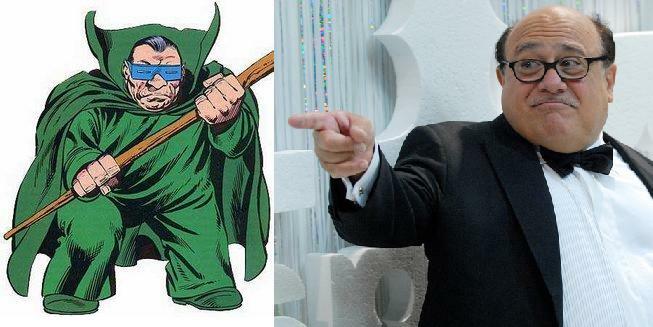 Mole Mans physical deformities make it hard to cast him , but the only human who fits the bill is DeVito, plus watch Batman Returns, that’s basically Mole Man already. 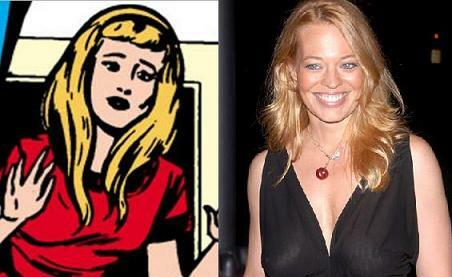 A beautiful blind sculptress who ends up falling for The Thing, who better than the gorgeous Jeri Ryan. 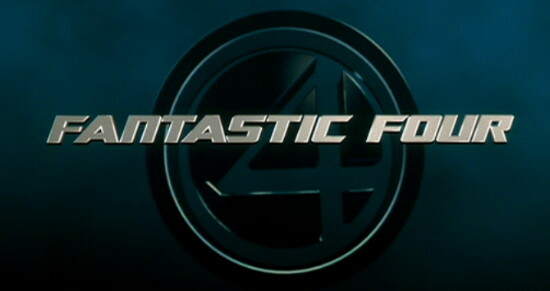 Tagged dream cast, fantastic 4, reboot. « Peter Molyneux wants to raise your blood pressure. 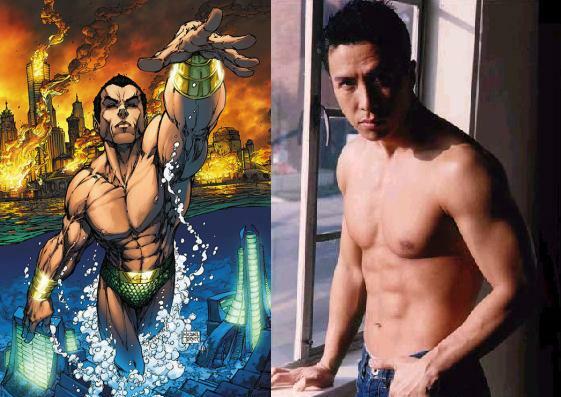 Doom told you that Yen was the perfect Namor. 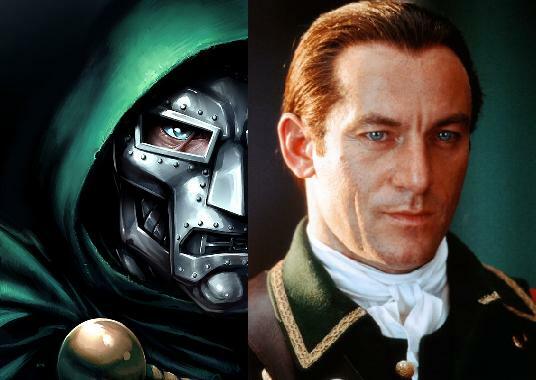 Jason Isaacs would make a way better Mr. Sinister.